Native stewards on the summit of Mt. Humunhum. Photo by Sara French, used with permission of the Amah Mutsun Tribal Band. “It’s so hard to save our lands and ancestors when we’re living in areas with people who make lots of money and don’t care about us,” says Ramirez, the tribal chairwoman of the Ohlone/Costanoan Esselen Nation, known as OCEN. Ramirez and her fellow leaders have a rough task on their hands: Their traditional lands encompass Carmel, Pebble Beach, Big Sur, Asilomar and other highly coveted — and uber-expensive — communities along the Central California coast and Coast Ranges. Preserving burial sites, protecting traditional gathering areas from development and preventing villages from being bulldozed was at one time virtually impossible, as the tribe lacks federal recognition. Nearby, the Amah Mutsun Tribal Band is addressing similar issues. “Creator gave us the responsibility to care for Mother Earth and all living things,” says Chairman Valentin Lopez. The Amah Mutsun’s lands lie within the contemporary northern Salinas Valley, portions of San Benito County and Pinnacles National Park. “We knew that we had to find a way to exert stewardship over those lands to restore our relationship with the land.” Like Ramirez’s tribe, Amah Mutsun is also not federally recognized. California has the largest number of non-federally recognized tribes in the United States because of a “perfect storm” of policy decisions. In 1851-52, shortly after the state entered the Union, the country negotiated 18 treaties with California tribes guaranteeing lands and other rights. But the Senate refused to ratify the treaties, leaving most California Indians without land or legal protections. Only Natives who ended up on small settlements called rancherias eventually received federal recognition, which didn’t all last. Then, in the 1950s, Congress terminated 109 tribes across the country, including 41 California tribes. Some of those tribes have never been restored. Today 55 tribes in California lack federal recognition, more than 20 percent of non-recognized tribes nationwide, according to the Government Accountability Office. How can these tribes work to preserve their ecologies, maintain biodiversity and thus keep their cultures strong? Conflict between Indigenous peoples and federal, state and local governments over tribal cultural and environmental resources have played a major role in the history of the Western Hemisphere since Europeans first stepped onto the lands of the Americas. While tribes recognized by the U.S. government have more than three centuries of federal law to back them up, non-federally recognized tribes by and large lack the legal authority to step in when a local ecology or cultural area is threatened by development or resource exploitation. On the state level, California has had the dubious distinction of being one of the worst offenders in historically opposing the rights of both recognized and non-recognized tribes. One of the best-known examples of how non-recognized tribes’ rights get overrun concerns the Winnemem Wintu Tribe. The 125-member tribe in Northern California has called the McCloud River home for millennia, but saw its lands taken by the federal government in the 1940s when Shasta Dam was constructed. Many of the tribe’s village, burial and cultural sites soon disappeared under the reservoir’s rising waters — and the salmon runs, upon which much of Winnemem’s culture and food supply is centered, are gone. The Bureau of Reclamation now plans to raise the dam another 18.5 feet, endangering the remaining Winnemem sites. The small tribe has been waging a public relations war for several years to call attention to its plight, including organizing the annual Run4Salmon, holding a war dance on the dam and participating in many documentaries. Native environmental activists such as Kyle Powys White are concerned that the federal government still won’t engage with these tribes on a government-to-government basis. “It’s just really become apparent over the years how so many of the solutions that tribes have been exploring don’t pertain to state-recognized tribes or unrecognized tribes,” says Whyte, an enrolled member of the Citizen Potawatomi Nation and a professor at Michigan State University. “When I was on the Advisory Committee on Climate Change and Natural Resource Science, which used to be in the Department of the Interior, we oversaw several of the climate science programs,” says Whyte. “Funding and support for tribes for climate change was coming from the federal government, yet they were really focused on federally recognized tribes.” But Whyte notes that federal agencies required to serve all communities through climate programs couldn’t wrap their minds around the need to include non-federally recognized tribes in their “portfolio.” Although officials attempted to determine how to work with unrecognized and state recognized tribes, Whyte says that “the whole idea really didn’t make sense to a lot of people in those agencies who had been trained with the idea that there’s a government-to-government relationship or trust relationship.” He says that although that concept works well in other areas, climate change isn’t one. So where does this leave tribes like OCEN, Amah Mutsun and Winnemem? Ironically enough, the tribes have turned to the state of California, which in recent years is finally making up for its history and recognizing the environmental and cultural advantages of working with all the Indigenous peoples within its borders. The first step came in September 2011 with an executive order issued by Gov. Edmund G. Brown Jr. that directed all state agencies to communicate and consult with tribes, including non-recognized tribes endemic to California. The order also established a tribal advisor in the governor’s office whose duties are to oversee and implement government-to-government consultation between the administration and the tribes of California. Then, in 2014, the California State Legislature passed A.B. 52, also known as the tribal amendments to the California Environmental Quality Act. This gave more teeth to existing Native American heritage protection laws, but more importantly it clarified what Indigenous peoples have always practiced and believed — that a project that has “a substantial adverse change in the significance of a tribal cultural resource…is a project that may have a significant effect on the environment.” A.B. 52 stipulates that such projects be evaluated as to cultural impacts, and that tribes are part of the environmental assessment process. It also outlines mitigation measures to limit or eliminate impacts on cultural areas. State agencies such as the powerful California Coastal Commission have developed, or are in the process of developing, policies to engage with the 109 federally recognized tribes as well with the 55 California tribes and tribal communities acknowledged by the state through the Native American Heritage Commission, the agency responsible for identifying and cataloging native cultural resources. In fact, the situation is better for tribes in California than on the federal level, says Angela Mooney D’Arcy. She’s the executive director of the Sacred Places Institute for Indigenous Peoples, an organization that advocates for Native peoples and helps them to build their own advocacy structures. As she points out there is no federal right for cause or enforcement to protect sacred sites, such as other laws like the Clean Water Act provide. For example, D’Arcy points out the Supreme Court decision Lyng v. Northwest Indian Cemetery Protective Association. This decision notes that, “as long as government policy or practice doesn’t prohibit an Indigenous person from thinking about religion, it’s not a constitutional violation of their First Amendment rights,” D’Arcy says. “That was the death knell for sacred site protection on the federal level.” Not even federally recognized tribes have been able to do much in off-reservation protections, D’Arcy notes, pointing to cases like the evisceration of Bears Ears National Monument. “But things are different in California,” says D’Arcy, who’s Juaneño/Acjachemen. That’s because state law allows California’s attorney general to bring a case under the direction of the Native American Heritage Commission if a proposed project on state lands is likely to harm a cemetery or cause irreparable damage to a sacred site. That’s how a coalition of Native peoples, local environmentalists and surfers were able to save Panhe, a 9,600-year-old Acjachemen village sited within San Onofre State Park in Orange County. Panhe is the most sacred place to the Acjachemen people, and it’s also an important ecological site. Because it’s on state land, the tribe and its allies were able to use the state’s public resource code to reclaim Panhe for the tribe’s use for ceremonies, prayer and burial. One of D’Arcy’s goals is to showcase how Indigenous peoples can similarly use state laws and policies to reclaim lands. As an example, she points to the recent acquisition of 688 acres of coastal land by the Kashia Pomo Tribe. Even though the tribe is federally recognized, it’s a great model for other tribes to follow. The return resulted from a partnership between nonprofit organizations such as the Coastal Conservancy and the Trust for Public Land, the private landowner and the tribe. “The private landowner wasn’t going to permit the Coastal Trail going through their land,” says D’Arcy, “but the tribe worked out an agreement to allow the segment to be constructed.” That willingness helps alleviate the state’s concerns that returning land to Indigenous peoples will impede others’ access to those lands, she says. Another example: Ramirez, from the Ohlone/Costanoan Esselen Nation, notes that the California Coastal Commission recently acted in the tribe’s favor to require an oceanside landowner to create a 165-foot easement to preserve a tribal site; however, she notes that she had to work through the Big Sur Land Trust to get that easement. She says that recognized tribes are also supporting OCEN’s efforts to have human remains and artifacts returned, and the U.S. Army gave the tribe a cemetery plot on one of its bases. “Because indigenous peoples have the millennial-old relationship with place and the responsibility to care for the place, I think you will actually see better care for the environment when land is returned to tribal control,” says D’Arcy. 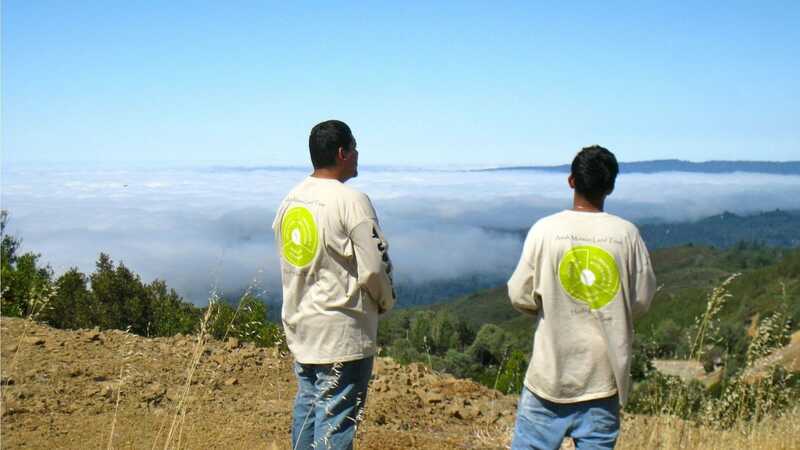 Amah Mutsun and other California tribes have created land trusts — nonprofits that work with landowners and agencies to preserve important cultural and ecological sites — including Quiroste Valley Cultural Preserve in Santa Cruz County, part of the California state park system. And the tribe is partnering with the National Park Service to protect and nurture traditional gathering sites within Pinnacles National Park. They even conducted a cultural burn — which is a prescribed burn that’s been practiced by Native peoples for millennia to eliminate wildfire fuels, enhance food sources, support biodiversity and groom watersheds — to support plants used in traditional basket-making. “Our partnership with Amah Mutsun is helping us learn how tribes care for the land,” says park botanist Brent Johnson. “It’s deepened our relationship,” he adds. “Rather than sitting in an office talking, we’re outside together and looking at the lands and plants.” However, Johnson is careful to note that because Amah Mutsun isn’t federally recognized, the park service can’t call it a government-to-government relationship. Instead, it’s more of a community partnership. Non-recognized tribes are still navigating choppy waters, though. D’Arcy points out that California cities and counties are the next level of government that needs education on inherent sovereignty, and federal and state policies can come into conflict when non-recognized tribes exert their rights. And progress is needed in other states, which could learn from the steps being taken in California. Further progress, the tribal leaders tell us, will be central to the development of coordinated programs to address cultural rights, preserve lands and waters, and especially to create a united response to climate change. Whyte says he’s met many people in government or academia who have found themselves confronted by the idea that all indigenous peoples, not just federally recognized tribes, play a role in protecting their lands around the country. Moving forward means figuring out ethical ways to collaborate with a broader range of partners, including developing trustful relationships that extend beyond the standard government-to-government policies of the past. “That’s necessary whether you’re in California, Oklahoma, the Great Lakes or the Arctic,” he says. This article was originally published at The Revelator. It has been republished at IC under a Creative Commons License.